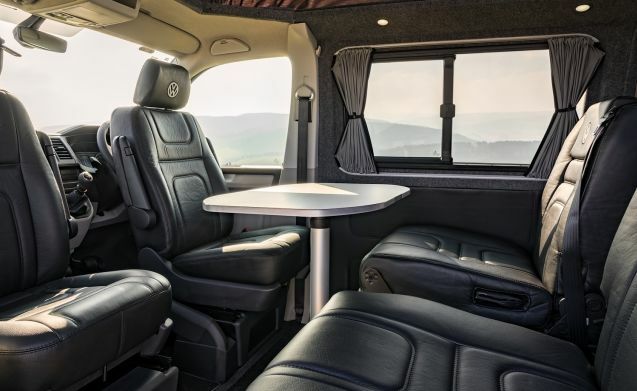 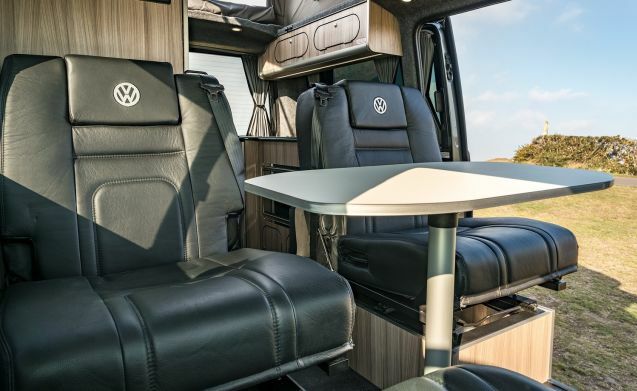 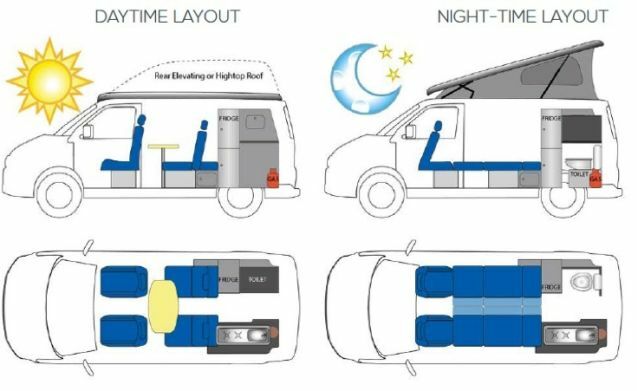 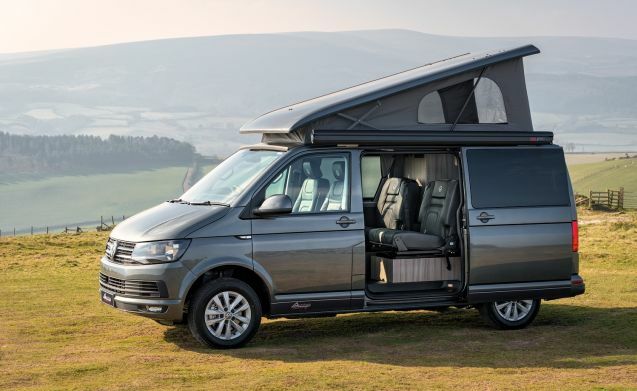 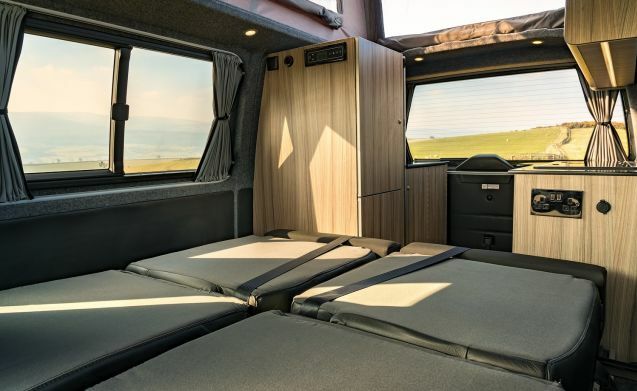 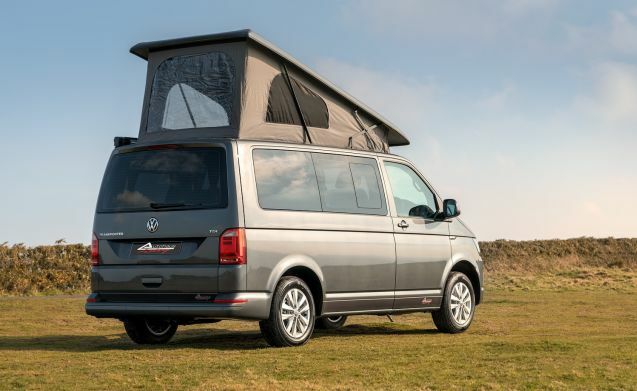 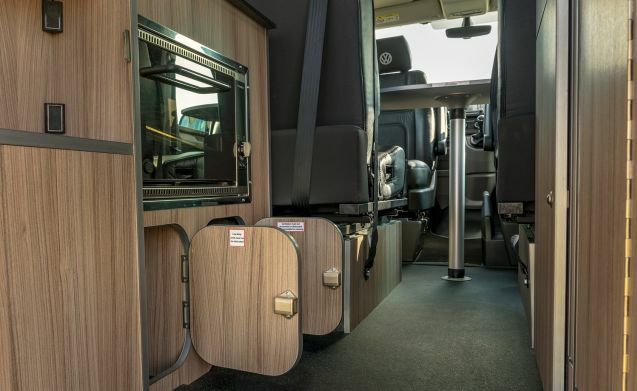 The layout of this camper was developed for those looking for the option of adventure off the beaten track, the key to which being the provision of a flushing toilet discreetly located within the workspace at the rear of the vehicle. 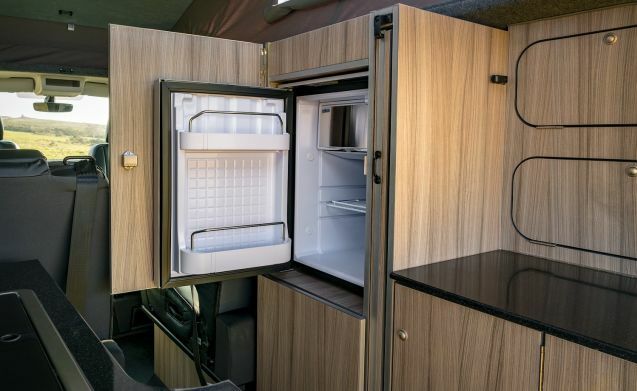 Even in campsites it avoids the necessity of venturing outside on those cold blustery nights! 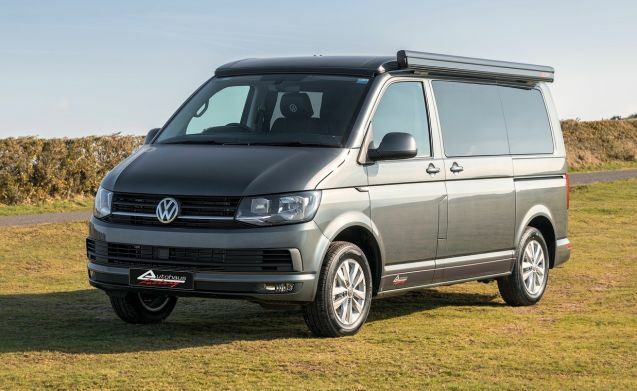 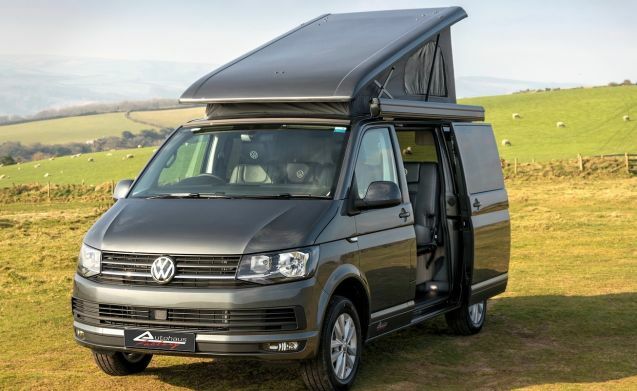 Black Leather Upholstery, Rear Galley Kitchen, SMEV Combination Sink/Hob, 20L Oven and Grill, Thetford Cassette Toilet, Control Panel with Split Charging and Leisure Battery, Two Captain Seats with VW spinners, Fully Insulated and Trimmed, Tinted Windows all round with o/side front rear opening. 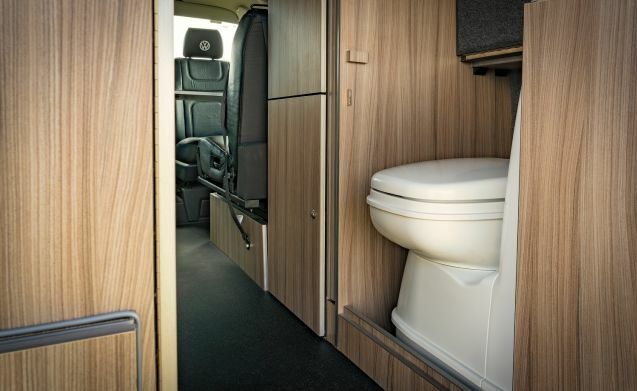 Toilet to be emptied prior to return. 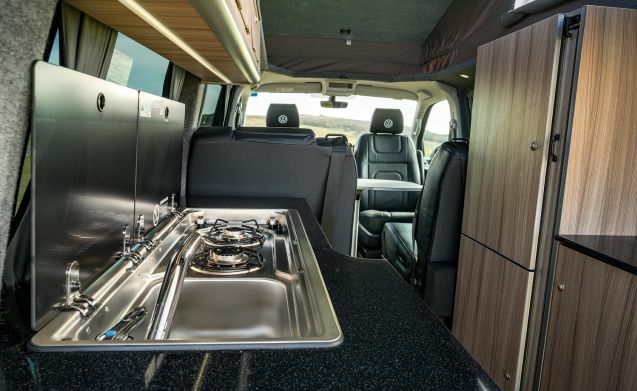 Fuel tank to be filled prior to return.